When the planet Jupiter had re-emerged from the Sun's glare in late March it was already obvious that something was amiss: The South Equatorial Belt had nearly disappeared. 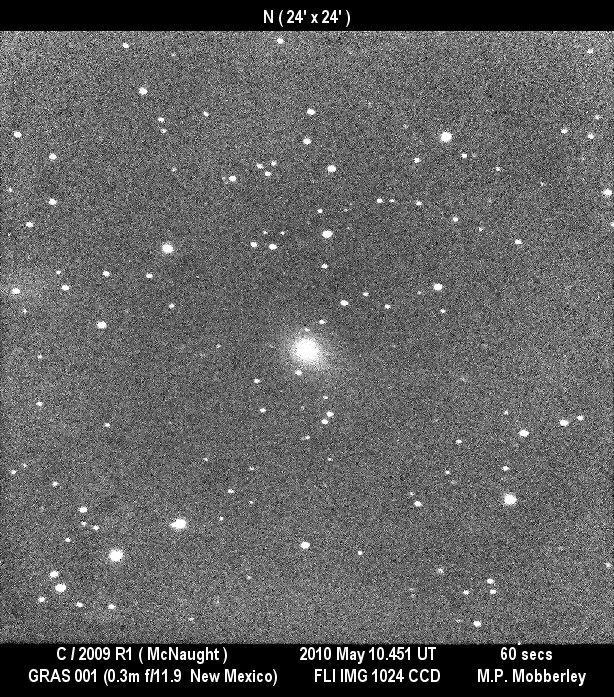 Within weeks the view of the planet got much clearer, and the SEB's loss was widely known in the amateur community - yet only after one blog and then other showed hi-res views by A. Wesley and C. Go did the news spread beyond, e.g. here, here and hier. • Also a detailled paper on the July 2009 impact on Jupiter. • Another storm on Saturn - pics on Apr. 28; more and many more - is again uniting amateurs & Cassini, also reported here and here. • The only significant predictable sky event this month - see here, here, hier, hier and hier - is an occultation of Venus by the Moon in Africa and Asia on April 16, mostly in the daytime: predictions for India and the Philippines. 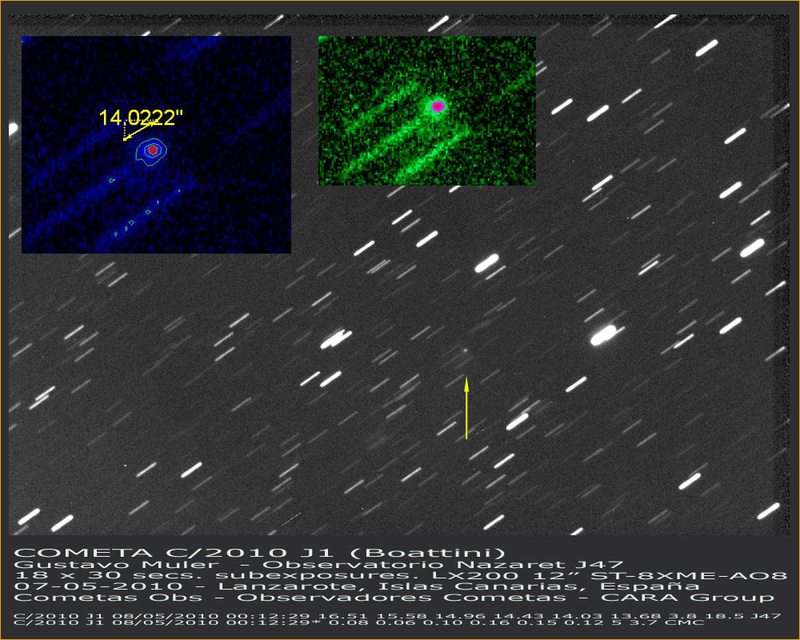 In other news a Near Earth Asteroid, 2005 YU55, was imaged by radar (more, more, more, mehr). • More meteorites have been found in Wisconsin, plus the story of Almahata Sitta. • Lots of coverage around an alleged destructive meteorite - no cosmic matter recovered so far! - in Indonesia here (video clips), here (earlier), here, here (earlier), here, here, here (earlier), here, here and hier. • The 'meteorite' in Israel definitely was none. • And I have no clue whether the 'ice from the sky' in Bavaria - reported hier, hier, hier und hier - was a 'megacryometeorite' or something else. 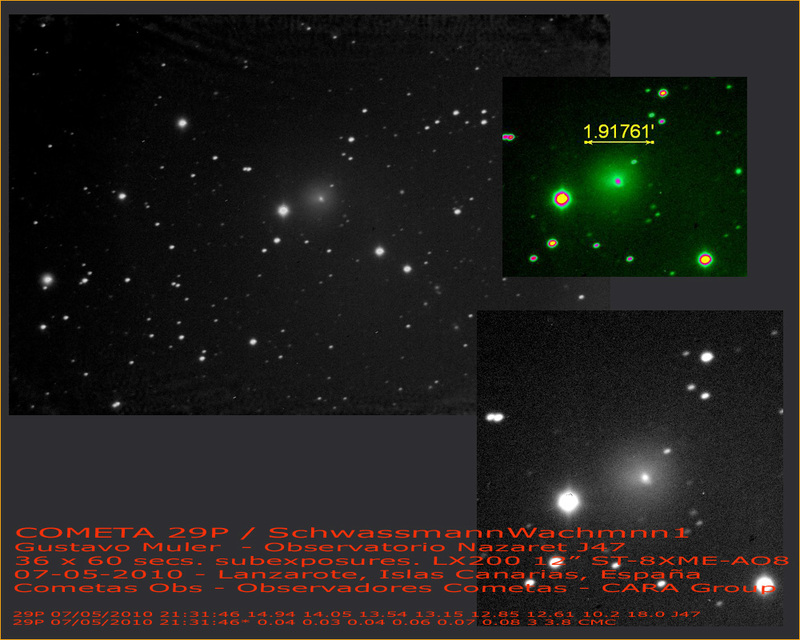 • After the outburst of comet Vales interesting coma structure is being observed with large telescopes as reported here (earlier) and here (pics) - new images with smaller scopes also of May 8, May 7, May 6, May 4 (more), May 1 and April 30. • A mid-April animation and May 11 and May 7 pics of 29P in outburst. 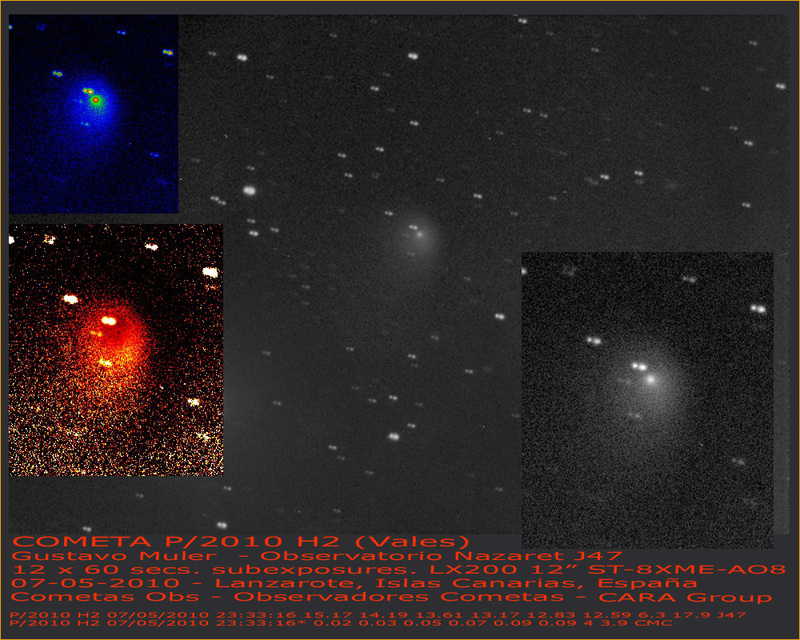 • Siding Spring on May 9 and April 22. • McNaught on May 9 and May 8 (more). • Wild on May 8. 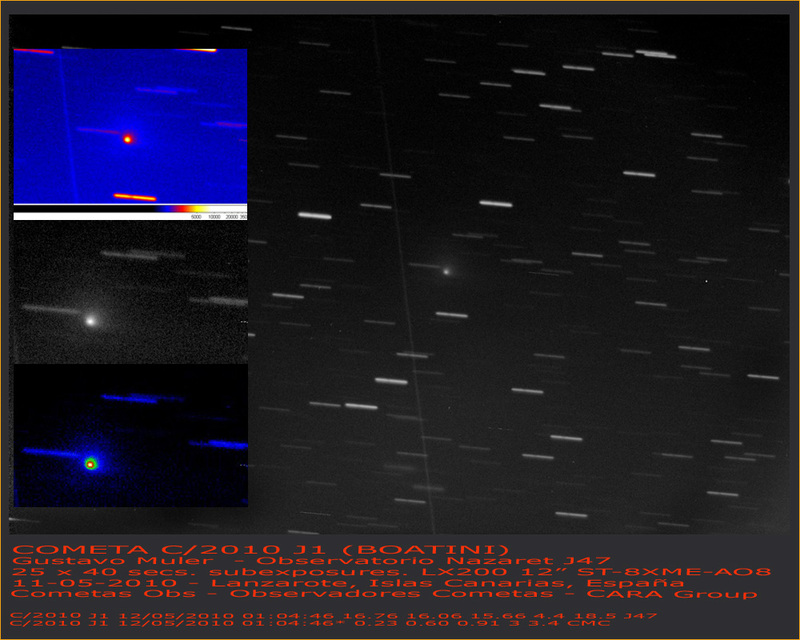 • New comets C/2010 J1 (Boattini) (on May 12, May 9 and May 7) and C/2010 J3 (McMillan). • Another McNaught (C/2009 R1) (mehr, mehr, mehr and a May 10 pic) is now visible - and could be so during the July eclipse. 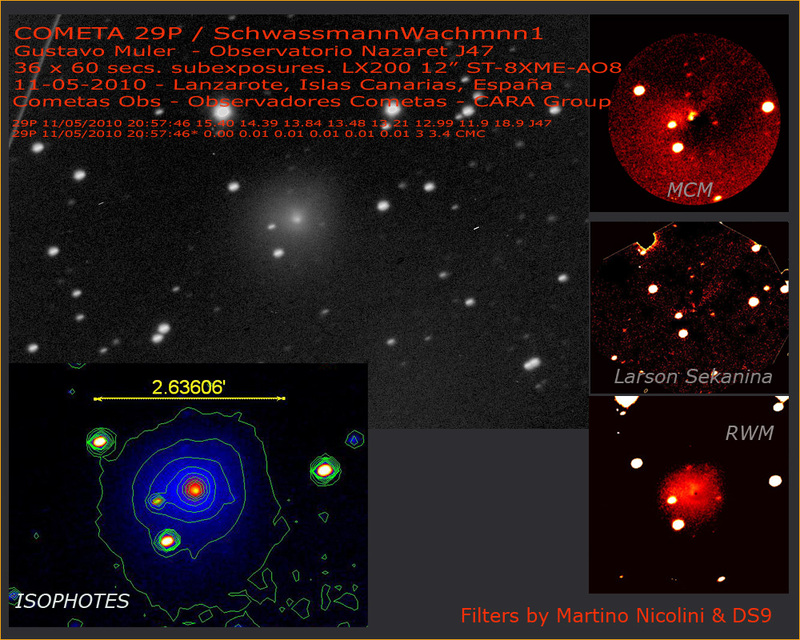 • The nucleus of Hartley 2 - EPOXI's target - at aphelion. • And a prediction of big thing in the Oort cloud. • Observations by SOHO's MDI over one solar cycle strongly suggest that the solar diameter is very constant, also reported here and here. • A big archive of solar eclipse images and a 66-page report about a TSE 100 years ago in Tasmania. 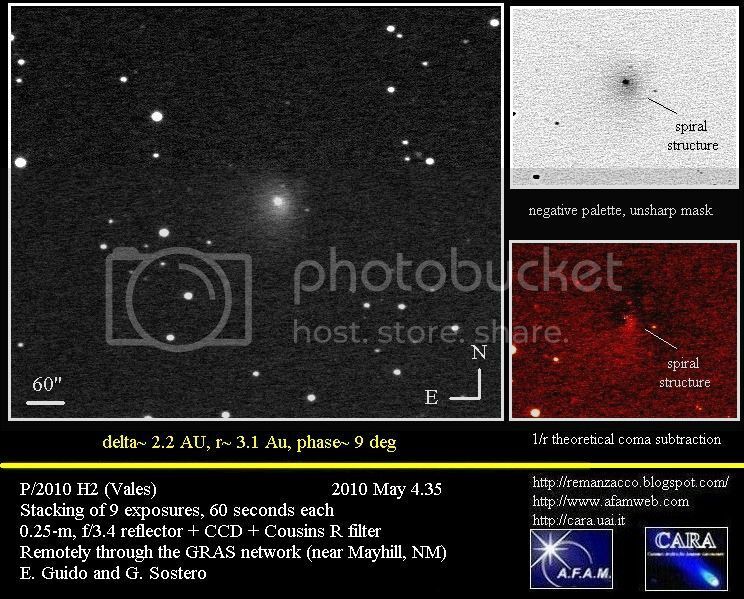 • There is a moderately bright transient in Pegasus. • A science fiction website explains sun dogs - and Wired has a remarkable gallery of terrestrial clouds imaged from orbit. 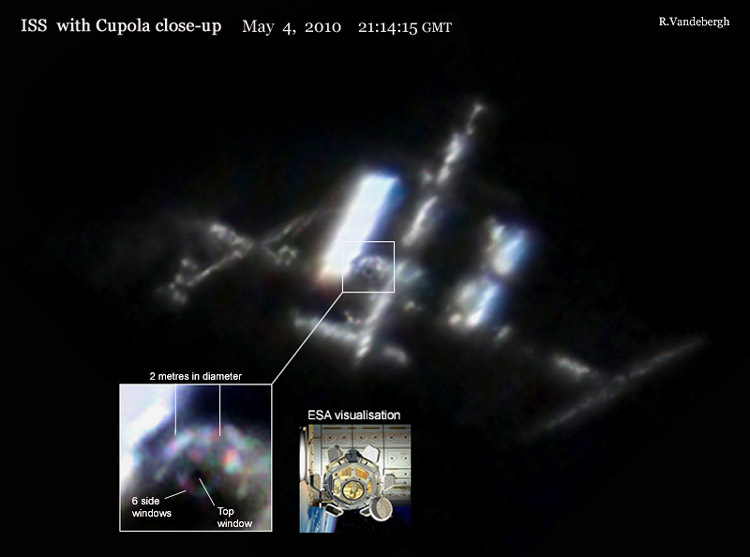 • A detailled ISS picture resolves the cupola - and others show the ISS in 3D in motion (more).